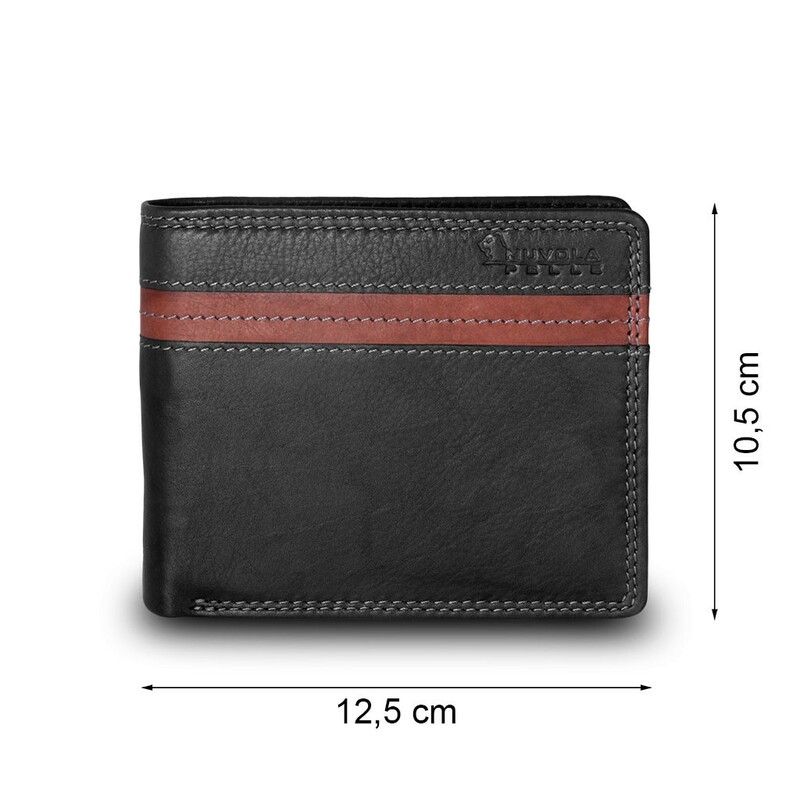 Two-color man',s billfold wallet made in soft genuine calfskin leather with antique effect. 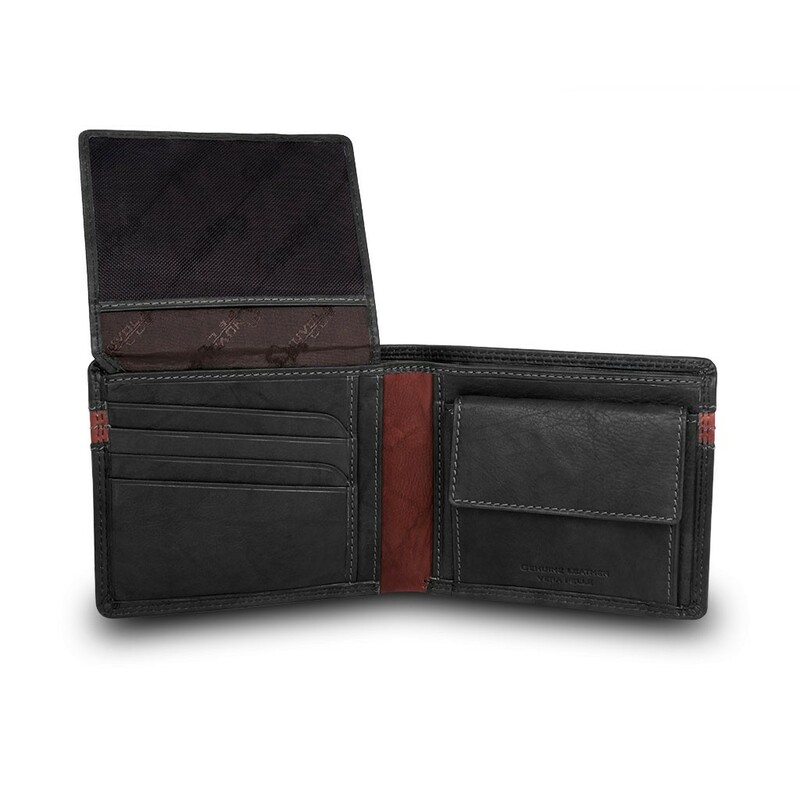 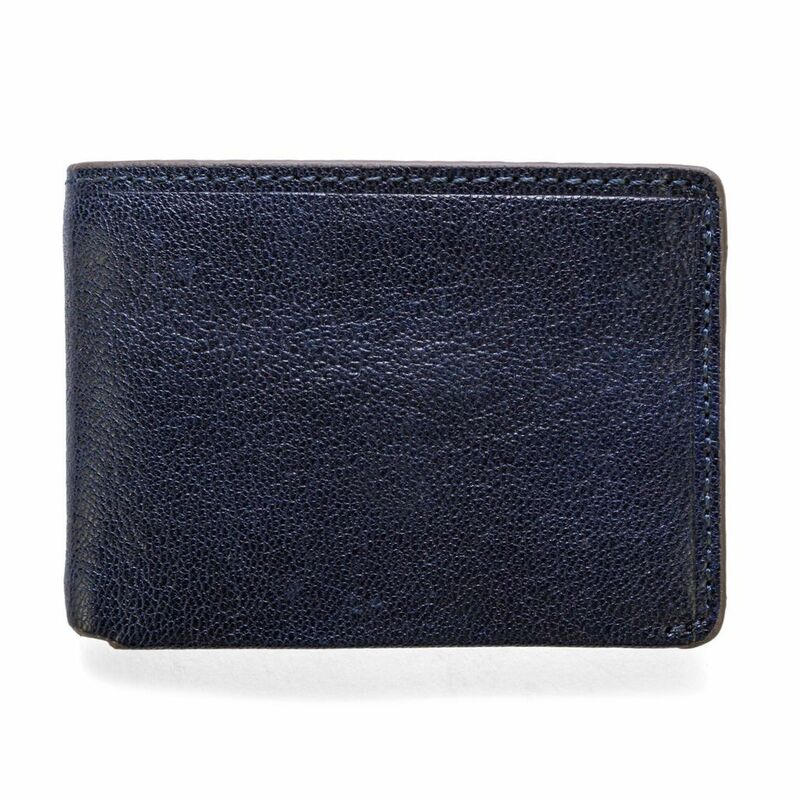 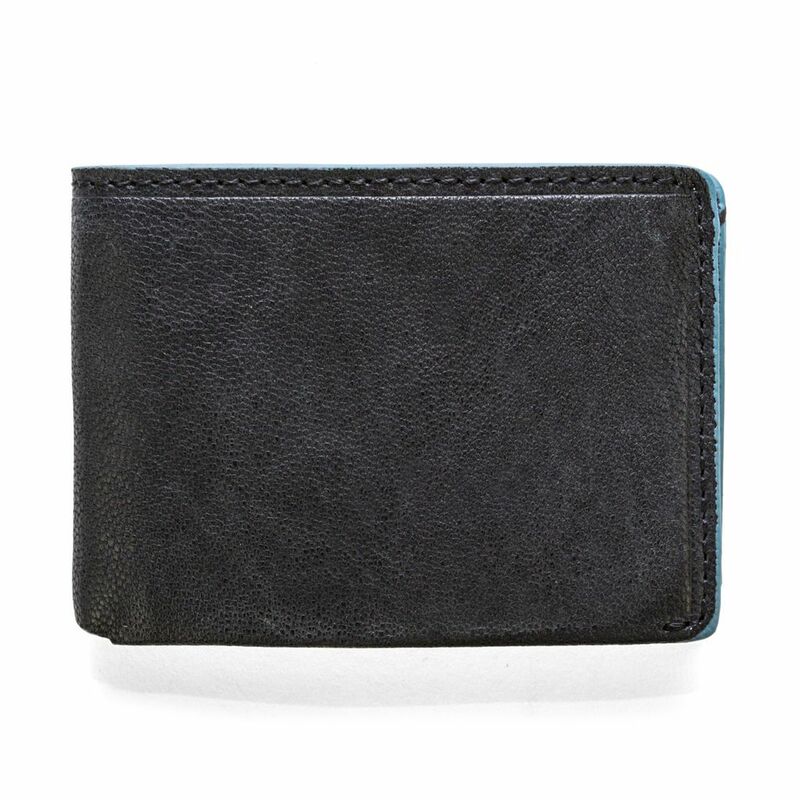 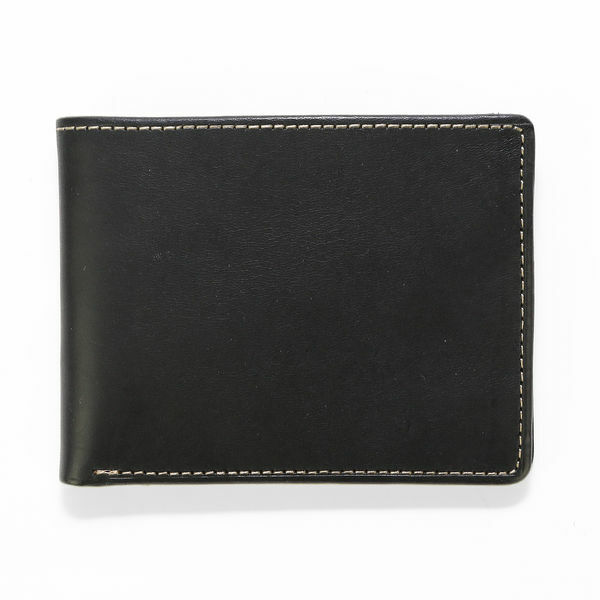 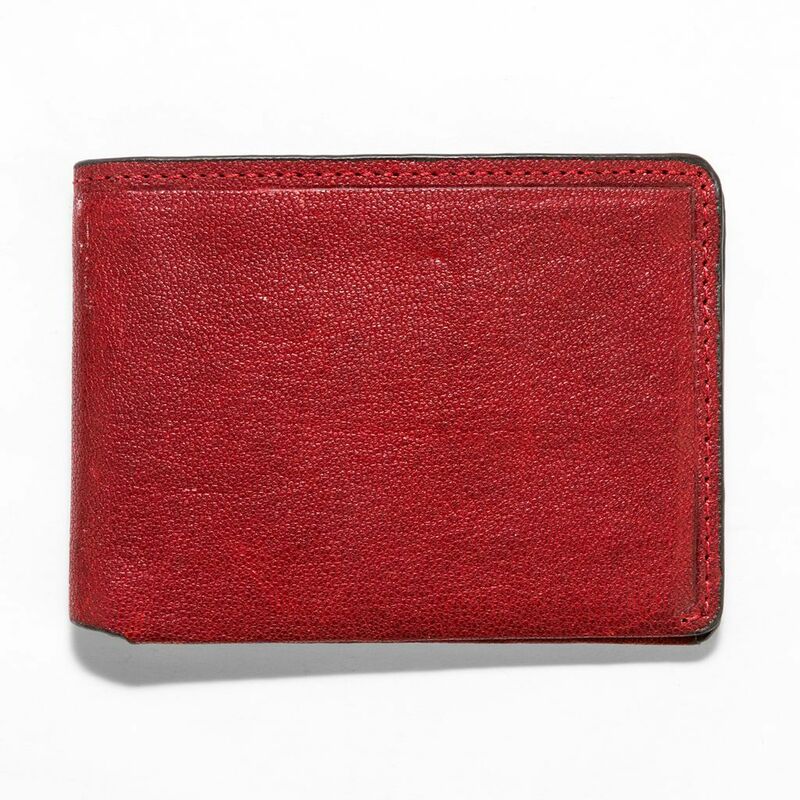 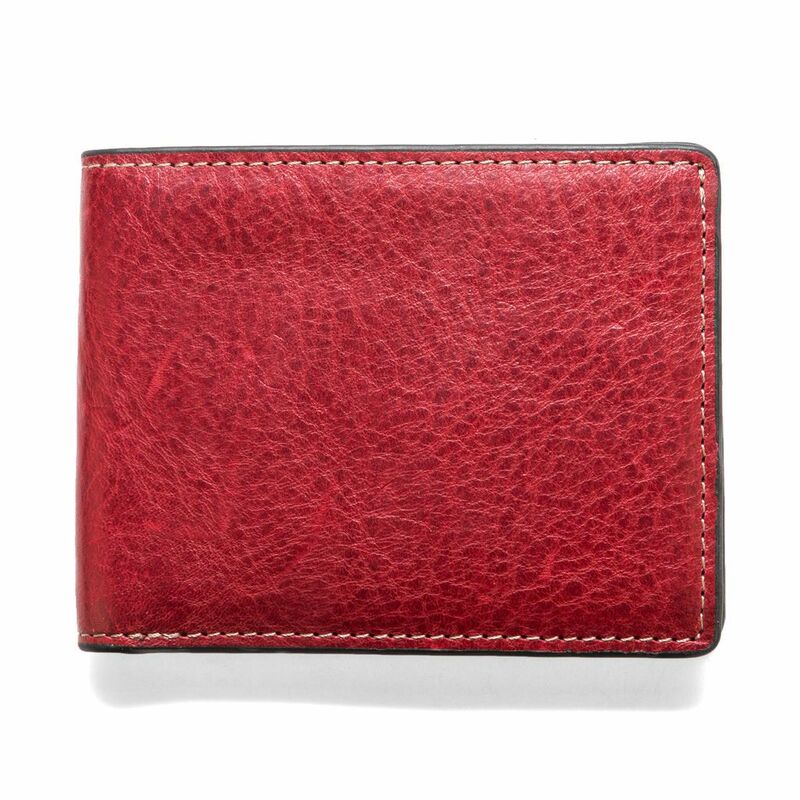 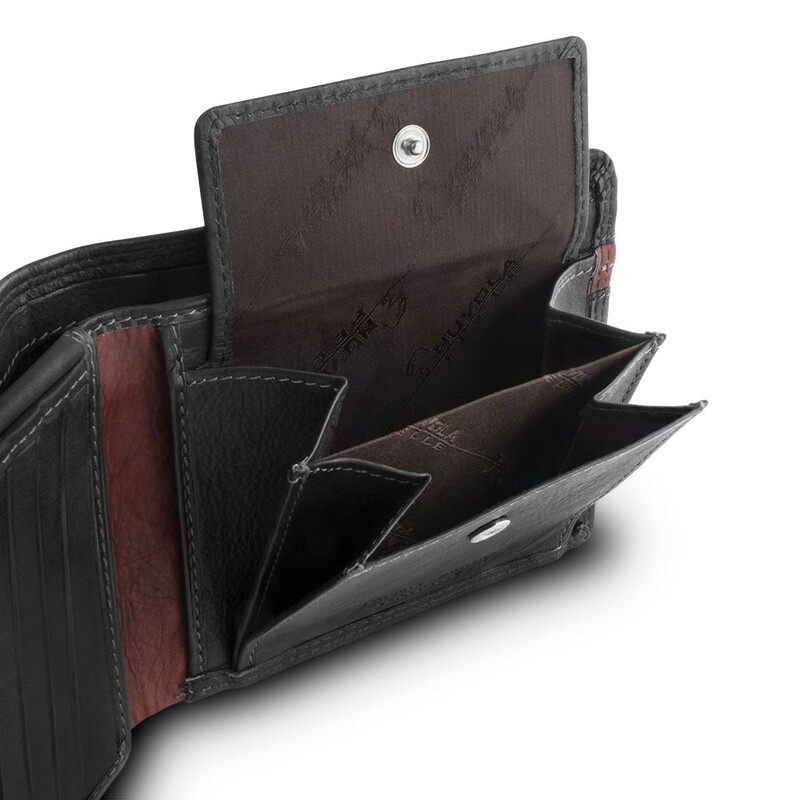 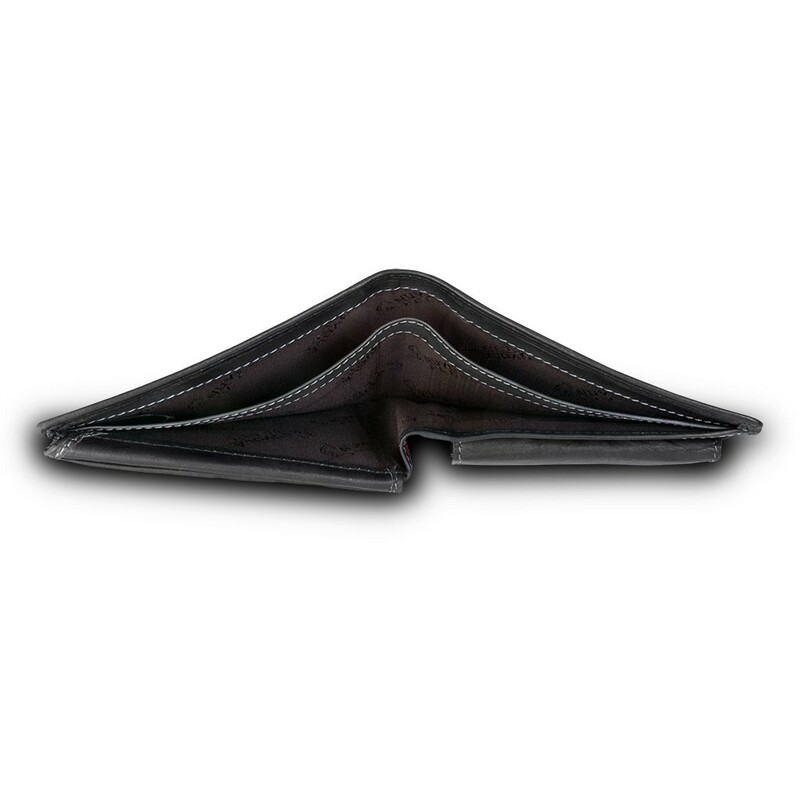 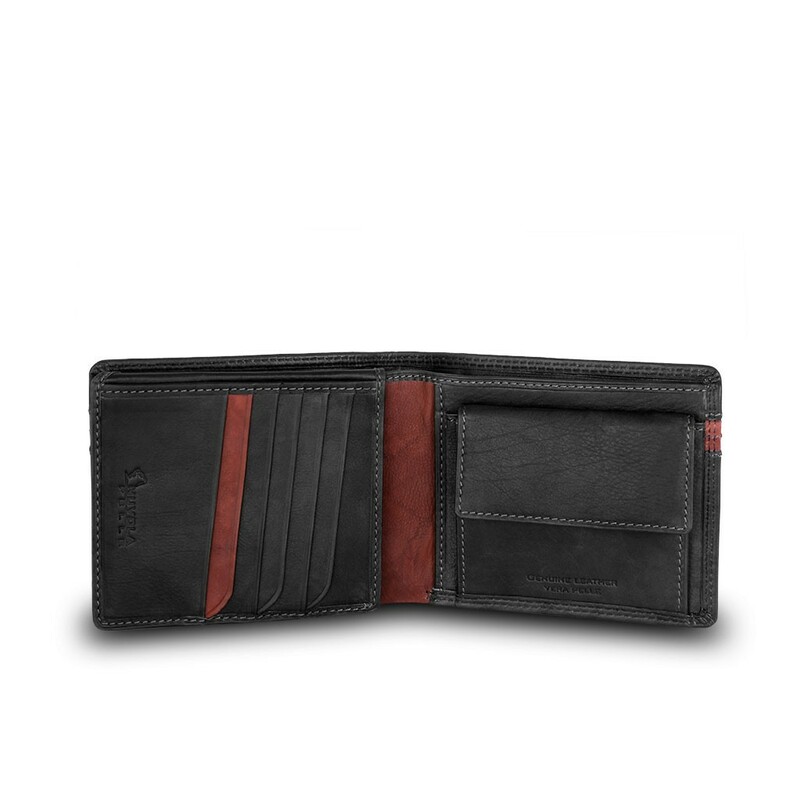 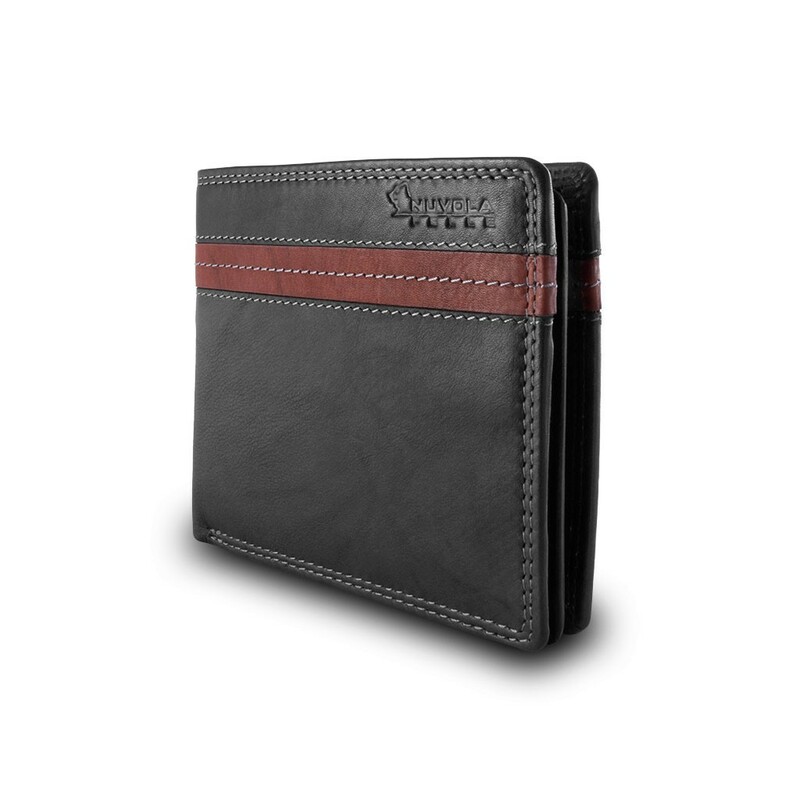 Many credit card holders, coin pocket divided in two compartments and inner flap with vertical opening. 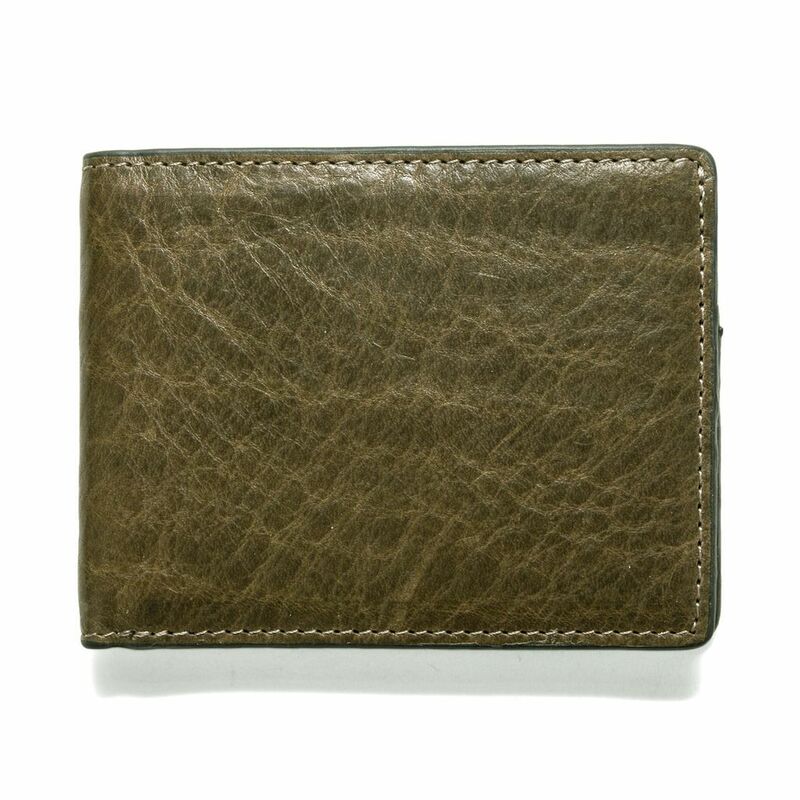 Leather pieces in brown color break the homogeneity of main color.